Caelus is Medec’s culmination of 40 years of research and development in the field of anaesthesia ventilators. The Bag-in-Bottle ventilator can handle a wide range of patient categories: neonates (approx. 1 kg), infants and adults (incl. bariatric patients). 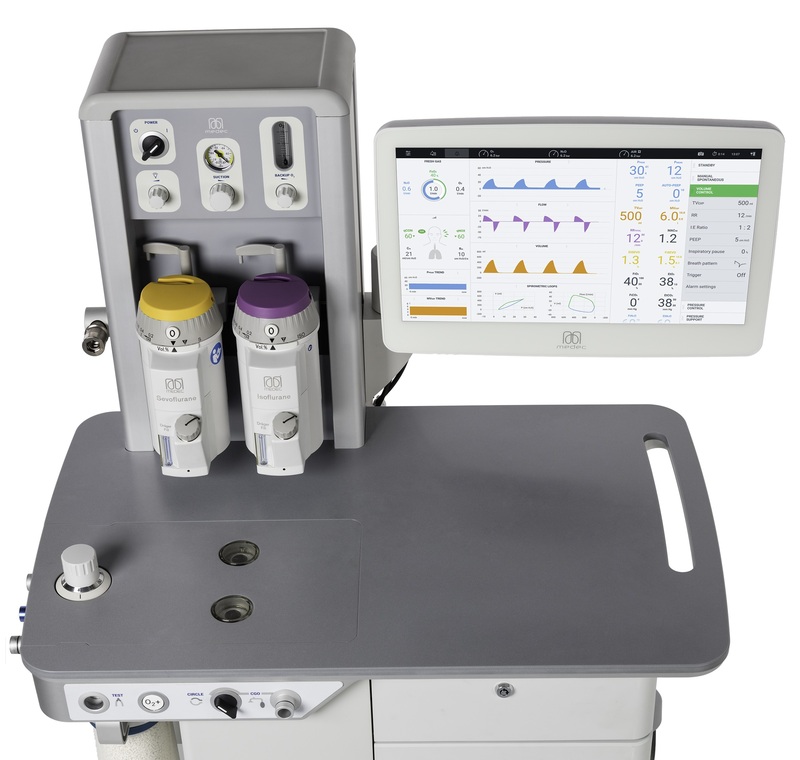 Caelus is designed with the focus on patient safety, reliability and cost efficiency. It comprises some unique safety systems (e.g. VoluProtect® and BaroProtect®), it’s a durable piece of equipment (high-grade materials) and reduces the cost of ownership to a strict minimum (e.g. free software updates). The ergonomic design offers an ideal balance between working surface and footprint. 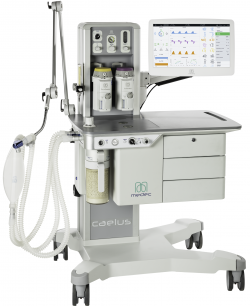 Caelus is a compact anaesthesia ventilator with a surprisingly large working surface. You can accommodate numerous documents or keep all necessary equipment at close hand during the entire procedure. The working surface can be illuminated to allow full document-visibility, even in darkened operating theatres. A tactile APL valve is neatly integrated into the working surface on the patient side. Other mechanical controls are easily accessible in the same vicinity. 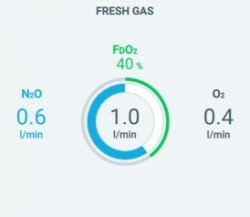 There is increasing preclinical evidence that mimicking the physiological variability in tidal volume is a new method to facilitate lung recruitment and reduce the risk of ventilator-induced lung injury. 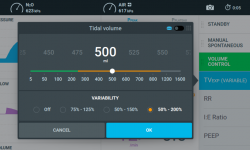 That is why in Medec’s volume control the tidal volume can be set with a degree of variability of 75 – 200 percent. 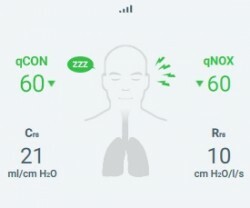 These random breath-to-breath variations in tidal volume allow you to mimic spontaneous breathing during mechanical ventilation.